First Advantage provides background check services for businesses of all sizes. Aside from pre-employment criminal background screening, they also offer drug and alcohol testing, fingerprinting, fleet compliance services, and more. In this article, we covered user reviews. Ready to try First Advantage? Contact their support team for more information. As of the date this article was written (10/23/2018), there are not a lot of positive First Advantage reviews online. However, some users said that the interface is intuitive and easy to use. Many were also impressed with the turnaround time of the search results. One user who gave First Advantage a positive review on G2 Crowd said that the system is very easy to use for both the company and the candidates. She also mentioned that the results are delivered in a timely manner and that the customer service team is always responsive. There are not a lot of negative First Advantage reviews online as of this writing. However, some users said that the program can pull some inaccurate information for candidates with generic names. One user who gave First Advantage a negative review on G2 Crowd said that the system can sometimes provide inaccurate background information. He shared that he had a candidate who was 21 years old and lived in Pennsylvania his whole life, but the results that came back was about someone with the same name, but with a different age and lives in a different state. First Advantage doesn’t publish its subscription plans online. Pricing for similar providers usually ranges from $20 to $100 per report depending on the type of search required. Interested parties may contact their sales team to request for a customized quote. Additional third-party fees may also apply depending on the screening services needed. Ready to try First Advantage? Contact their support team for more information. What industries does First Advantage cater to? 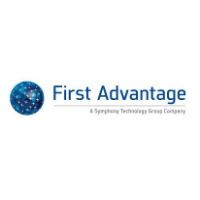 First Advantage provides services to all kinds of business industries. Some of the industries that they frequently cover include retail, staffing, financial services, transportation, business services, healthcare, hospitality and restaurant, manufacturing, non-profit, pharmaceuticals, and oil and gas. According to their website, 90% of background reports are completed within 24 hours. Not sure if First Advantage is the right fit for you? 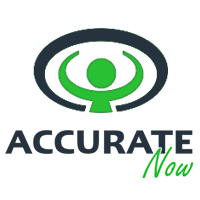 Read our reviews of all top background check providers or check out one of these three First Advantage alternatives.